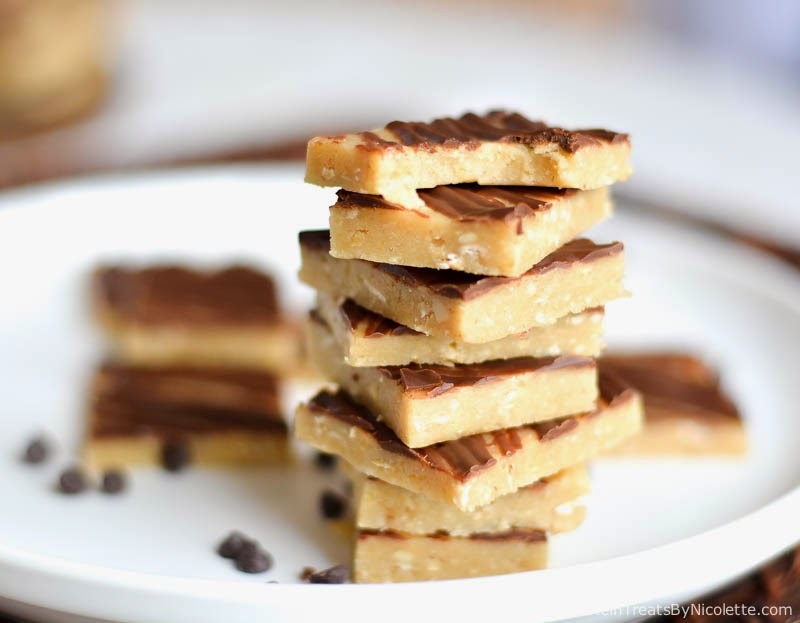 Super easy & delicious protein squares with a few ingredients and tons of flavor! 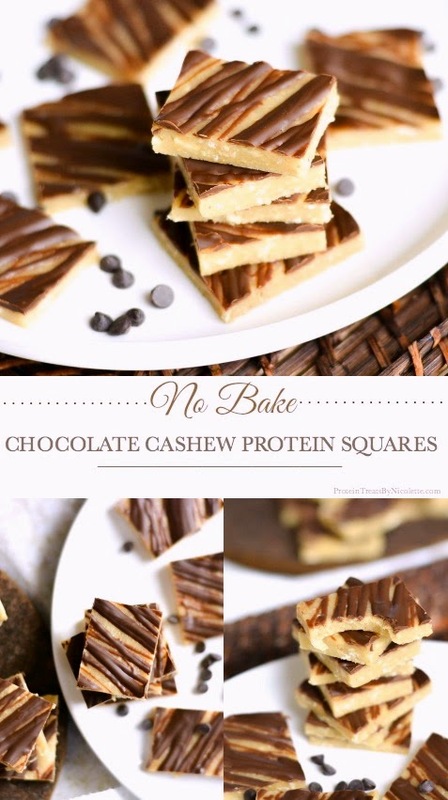 You get all the good stuff with these - healthy protein, healthy fats, healthy carbs. So they're perfect for a pre-workout snack! They don't take long to make either since they are no-bake. 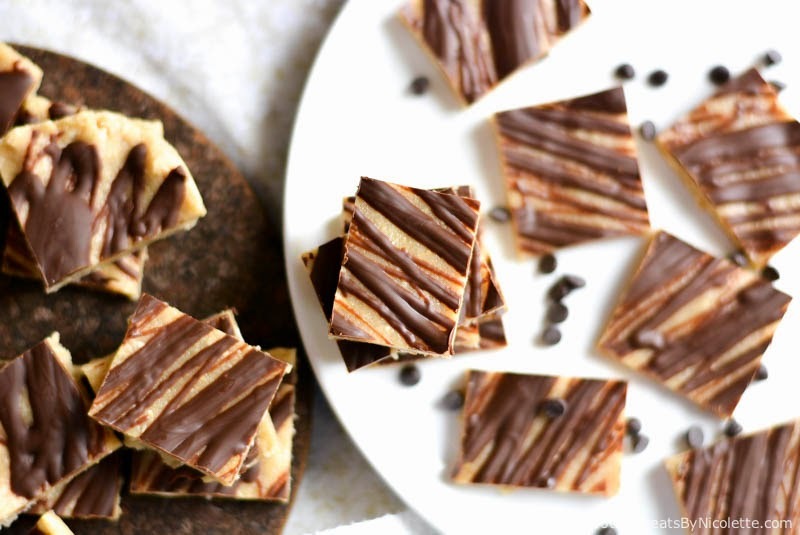 Just blend, stir, spread, and drizzle :) Enjoy! 1. Line an 8x8” square pan with plastic wrap and set aside. 2. Place cashews and oats into a blender or food processor and pulse until mixture resembles flour. Pour into mixing bowl. 3. Add protein powder and salt to the mixing bowl and stir together. 4. Add melted coconut oil, maple syrup, and extract into the mixing bowl and stir together. 5. Using your hands, knead this mixture slightly until comes together. Spoon mixture into pan and press down with your hands making sure the entire bottom of pan is covered with mix. 6. 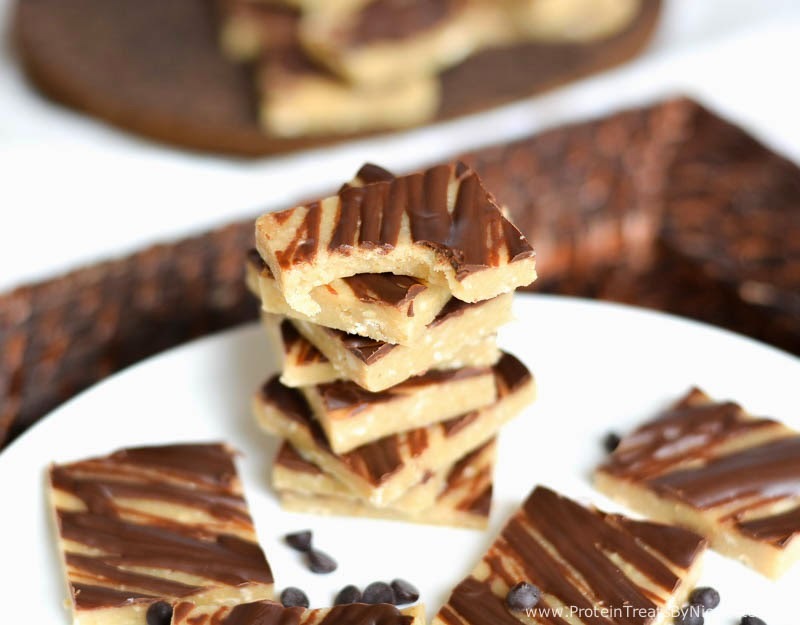 Melt chocolate until smooth and drizzle on top of cashew mixture. 7. 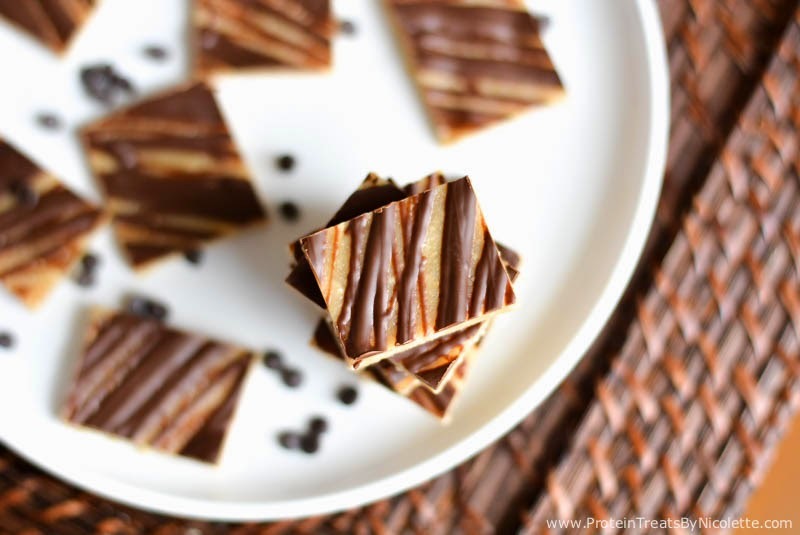 Place the dish in the fridge until chocolate hardens, about 1 hour. 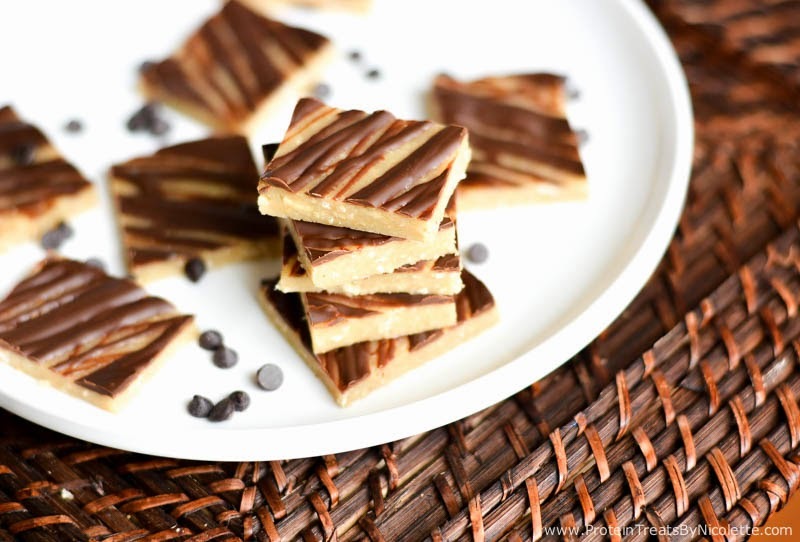 Remove from fridge, slice into 16 squares, and serve immediately.